at the right time, with targeted personalization powered by Beeketing AI. 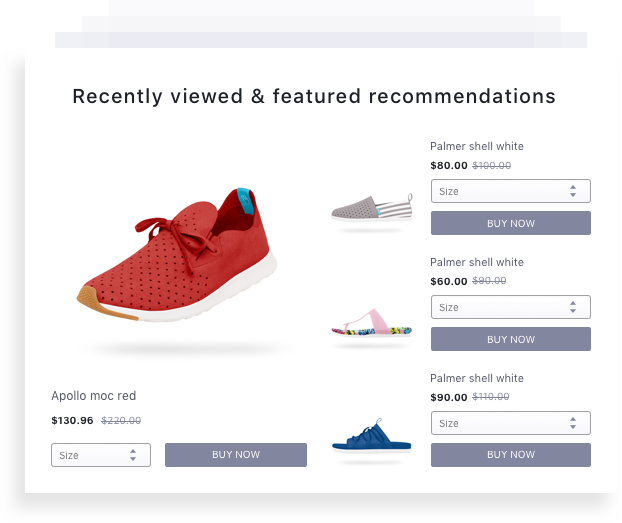 Personalized Recommendation automatically suggests items that best compliment a specific product being viewed by customers at the bottom of each product page. 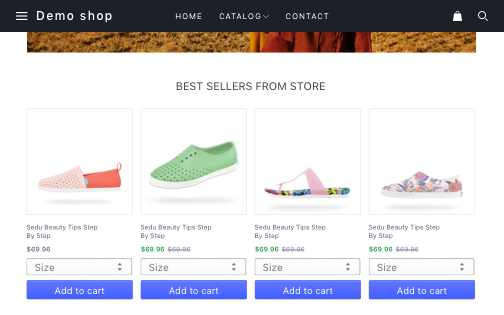 This feature hits your customers with most desirable products of your store right in the homepage. 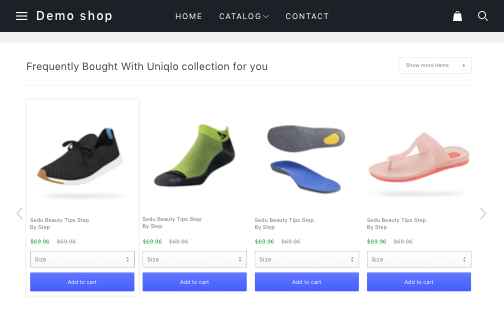 Highly personalized for each unique customer, recently viewed & featured recommendations are automatically suggested at the footer of homepage, collection page and others. 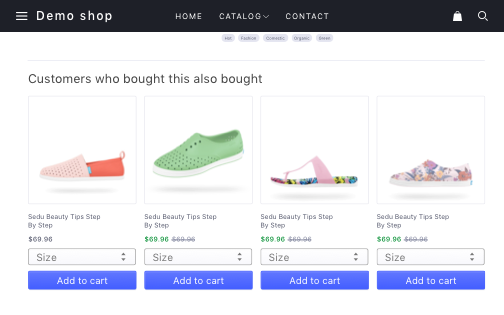 Cart recommendation suggests the most relevant additional products that a customer will possibly want based on their cart. 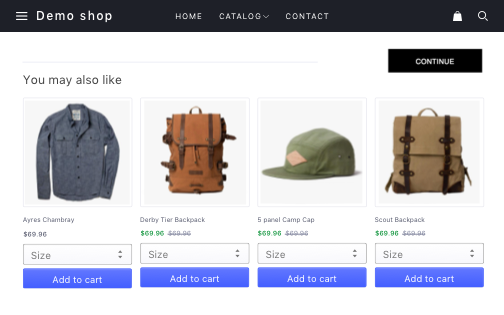 When customers add an item from the recommendation widgets, Smart Upsell Popup will appear to suggest more items they are likely to buy. This widget lets store owners freely choose which products to show. Have a set of products that you want customers to buy together? This is definitely for you! 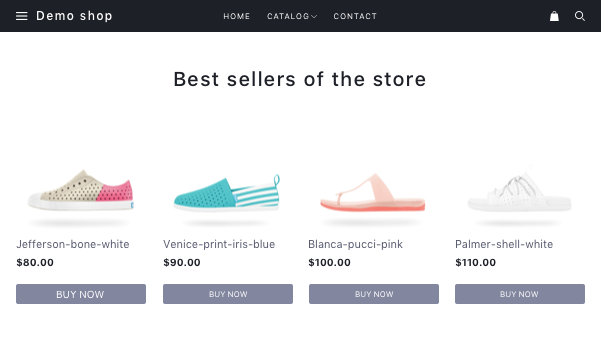 With Beeketing AI embeded, Personalized Recommendation is the virtual salesman of your online store: get to know what customers need and suggest the right products accordingly that they can't resist to buy, boost the average order value, and help you to achieve your ultimate goal of maximum sales growth. You have data. Lots of data. Beeketing AI learns from all that data to deliver predictions and recommendations based on your customers' unique shopping behaviors. It suggests the right products to each of your unique customers, amazes them that you know their needs even better than they do themselves. Install and turn on your receommendation engines in just 5 minutes. The app also provides many layouts, so you can freely customize its widgets to match your store's look & feel. 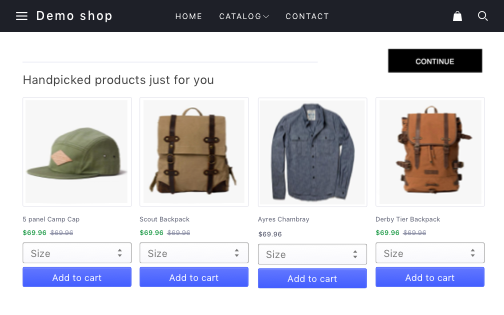 Magnify the size of your customers’ orders by giving them more wanted products around your store, just like Amazon’s shopping experience. 51% shoppers are shopping on their mobile phones & tablets. We make sure you'll lose no potential sales by displaying your recommendations nicely on both desktop and all mobile devices. We're optimized UI and UX on both front-end and back-end of the app. 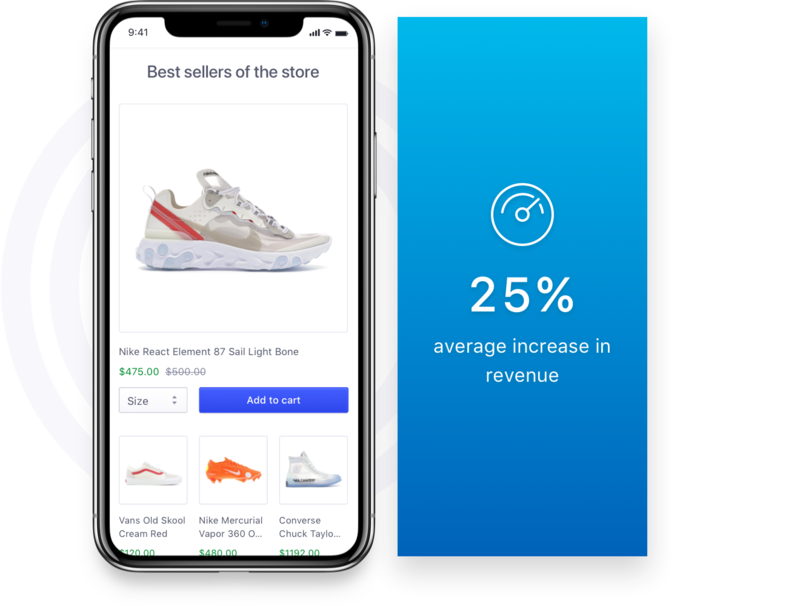 Our ultimate goal is to make Personalized Recommendation super easy for you to install and use, make it become the most useful tool to rock your sales. To help you track how Personalized Recommendation works, we provide detailed reports in the app's dashboard as well as via weekly emails. Nothing complicated, we make reports very straight-forward so you can easily make data-driven decisions. "It's brilliant ! Every store ought to have it ! potential customers will simply click on the picture if it is to their fancy (curiosity Killed the cat !) and buy outright without scrolling trough all the categories." "Great app - it's simple and intuitive to use and adds great value to both seller and buyer. Kelly from CS was great, she's helpful and efficient." "Great app to use on your store, I am noticing more and more customers adding the recommended items to their cart."